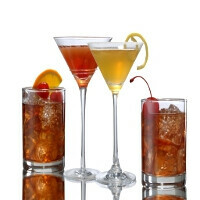 It’s summertime again, and nothing screams relax more than slowly sipping on a cocktail during the daytime heat or gulping shots during the nights out. Summer also means our brains are usually wandering on second gear so even simple tasks like coming up with new drinks to chug down are a challenge. Thankfully someone invented this brain extension, or, in our case, brain replacement, called the smartphone, to think and remember instead of us. There are a bunch of apps with drink recipes in Android Market, but Easy Cocktails from 24KT Studios seems to have been made with the lazy summer days in mind. It doesn’t overwhelm your brain with thousands of choices, or your senses with overly flashy graphics. The whole app can be explained in a few screenshots – there are Guys Cocktails, Gals Cocktails, Shots and Extras sections, with the “extras” being largely pictures of ice cold drinks or bikini girls holding ice cold drinks to get you in the mood for… well, drinking. The guy section includes easy to mix gems like Black Russian – 2 parts vodka, 1part Kahlua, pour them over ice cubes in a whiskey glass, says the app, and that’s all there is to it – no ounces to keep track of, no specialized equipment required. 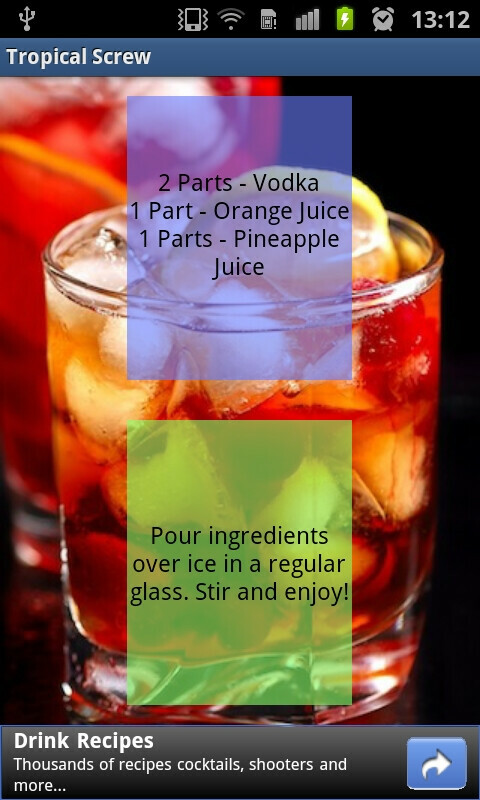 The girly stuff is by definition a tad more complicated, so things like the Tropical Screw (we are not making this one up) require two types of juices besides vodka – orange and pineapple, but the instruction reads simply “Pour ingredients over ice in a regular glass. Stir and enjoy”, so you can shuttle between the app's sections without worrying that you have to use more than the few brain cells left after you go through the first screen. Surprisingly, Google's mobile ad network decided to show us impressions of the "Free Android Bible App", as you can see in the screenshots below, and we think it did it on purpose. 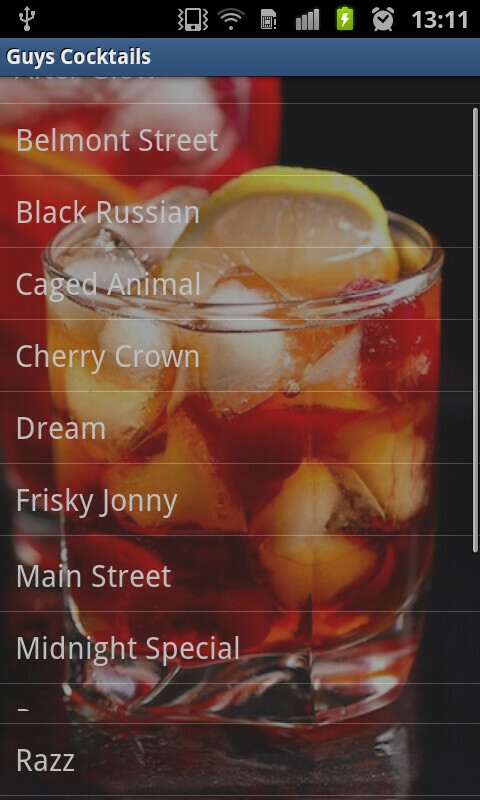 Surprisingly, America’s convoluted shots subculture is reflected in Easy Cocktails, since the Shots section is graced with some of the weirder ones we’ve encountered, requiring at once skills, rare ingredients and specialized equipment to get you to the end result of getting hammered. The H3, for instance, despite its gas-guzzling status, involves stuff like Frangelico liqueur, shaker and whipped cream, so, seriously, who would bother with that unless someone has to be impressed, or the shot mixed in a bellybutton. 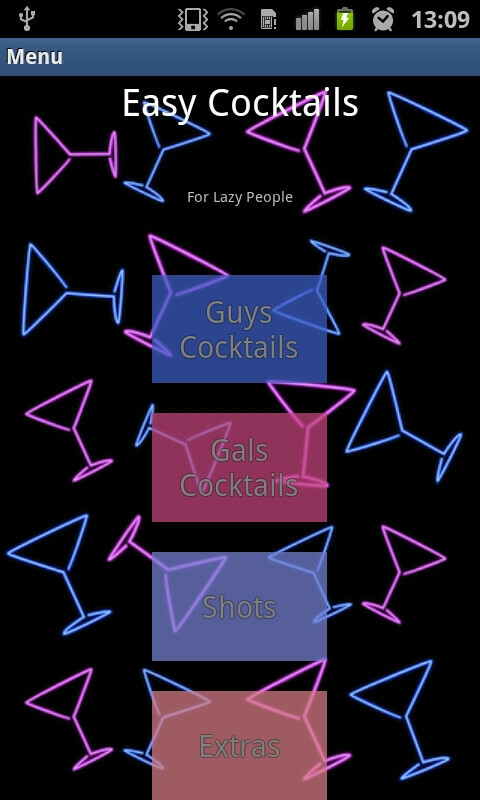 This is, however, the exception that confirms the rule, and the free app truly earns its name with blood, sweat and tears - Easy Cocktails for Lazy People – and no, we are not joking, that’s the full title, and the developers named it well. Being the thorough reviewers we are, there will be no stone left unturned while we familiarize ourselves further with the app and its merits – we are just trying to ease the decision for you, dear readers, so we’ll brace ourselves for a long hard workweek of testing. If we find any flaws in the recipes, we’ll come back and update, but only show you the interface in a video, not the subsequent tests, since we don’t want to be denied the liver transplant on a preexisting condition basis. Cheers! Not only is the app sexist, so are the video reviewer's comments! I like girls too! I guess I'm sexist. The app actually is not good - bad icon, bad UI (lists blend with background). What is worse - it has about 40-50 cocktails total. That's pathetic.